Our private Naples day tours to the Island of Capri can also be booked as Shore Excursions starting from your cruise ship docked at the port of Naples. 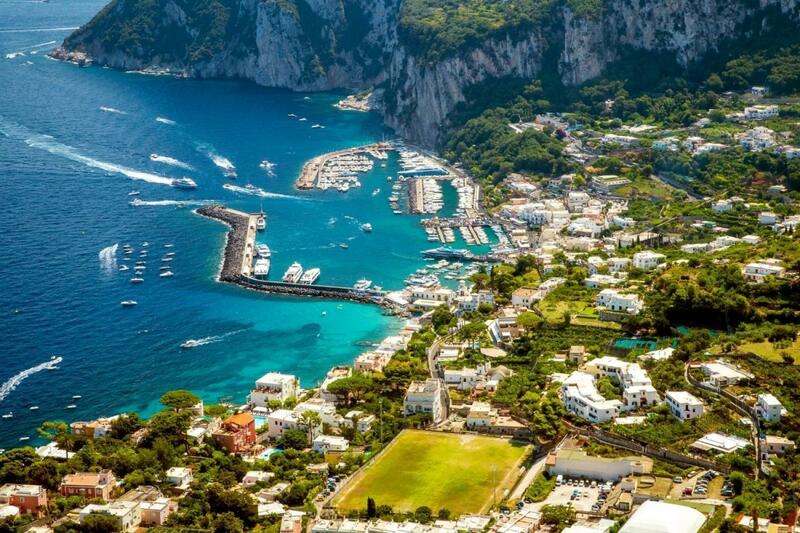 These excursions to the island of Capri include a licensed expert guide who will accompany you the whole day. 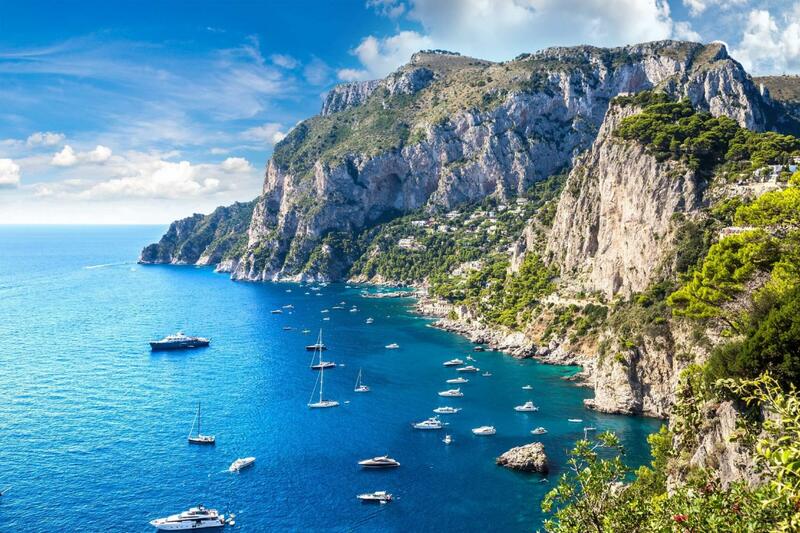 Start with a journey by hydrofoil from Naples to the enchanting Capri island. 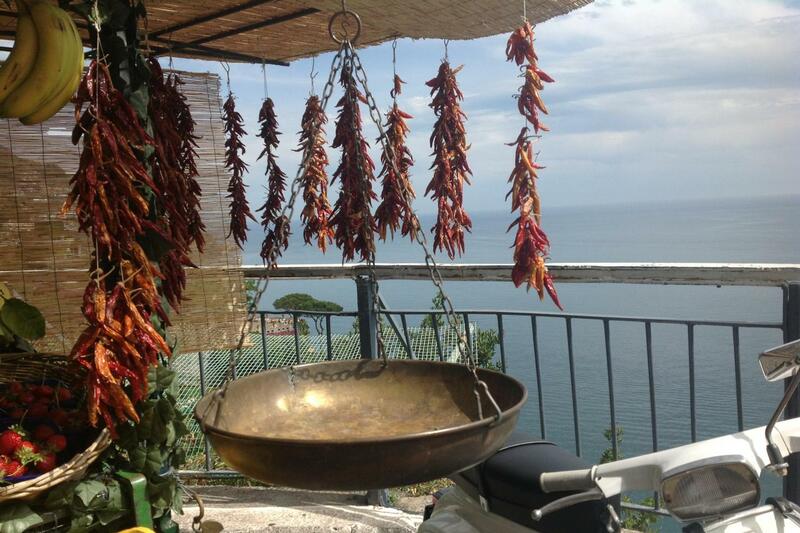 The journey by boat lasts about 40 minutes and from the boat you'll enjoy beautiful views of the Bay of Naples. From the port of Capri, travel by private minivan to arrive at the town of Anacapri, which is a delight to explore. We'll visit the church of San Michele to admire the majolica tile floor, and you'll have time to ride the chairlift up to Monte Solaro for incredible views of the Amalfi coast and the island. Visit the famous Faraglioni, two large free standing cliffs straight up out of the water, for a superb view over this side of the island. After returning to the town of Capri for lunch, spend the afternoon of our private day tours of Capri exploring this enchanting part of the island. The famous Piazzetta, with its prestigious cafes' and surrounded by whitewashed buildings, the beautiful Augustus gardens with its enchanting views, the narrow winding streets with delightful small shops. During the day you'll enjoy some free time for coffee and lunch breaks and of course for some shopping opportunities. During our shore excursions to Capri, if you want to see the world famous Blue Grotto, your guide will set up a tour for you. Or if you would like to enjoy some more walking, our guide will take you on a hike along the secluded paths lined with stone walls and citrus groves to explore the Villa Jovis built by Tiberius, your guide will be with you for the full day and at your disposal for customization of the tour itinerary if requested. Our day tours of the island of Capri conclude with a journey by hydrofoil back to the port of Naples. 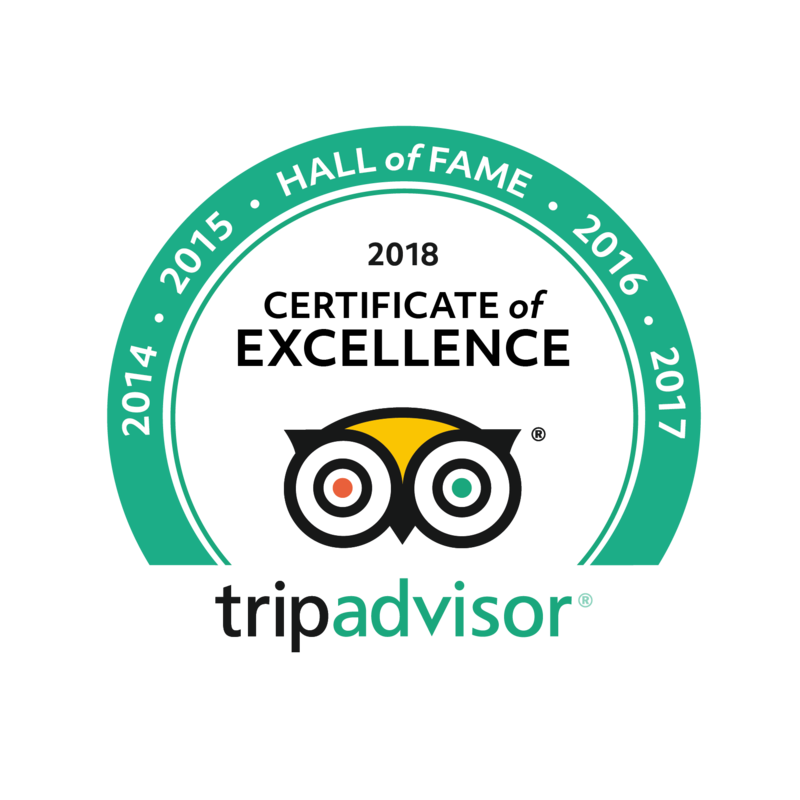 This tour can depart from Naples or Sorrento city center or port. Please specify where you want to start the tour including name of hotel or cruiseship.